Hey man! In Barber shop, you are on a mission to serve your customers satisfied. To do so, you should cut or wash or serve both in order with no hesitation. In this skill game, you need to be careful not to use mouse to put them in wrong places, which will waste your time and score! Hope you be a happy barber www.bestgames.pk. A good beginning is half done！Welcome! 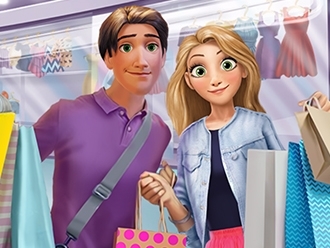 Are you ready to go shopping with the cutest couple ever? Rachel and Filip decided it's time to get some fancy new clothes. 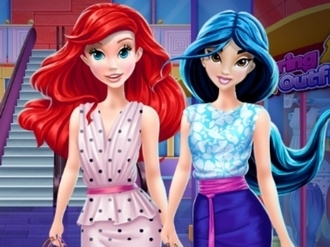 Join them at the mall and become their fashion adviser. Start with Rachel and take your time to find what looks best on her. Filip is very curious to see what you're going to pick for him. There are so many options, take a look at all the items on the shelves! Use the accessories and make sure these two love birds leave the mall looking super cool! 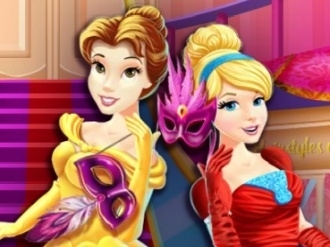 Take Cinderella and Belle out in town in this Disney Princesses masquerade shopping game as they wish to purchase some new dresses as well as some cute accessories with their allowance. 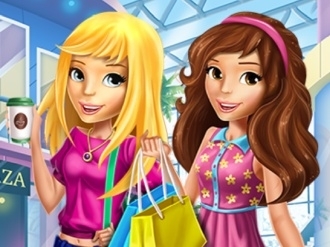 Help these students to take a break from their class to get a little trip at mall for shopping in this dress up game. Find a right moment when you can sent a note and let the fun begin once you’ve got to the store. Use your designer skills to create a new look for one girl and personalize her outfit with cute accessories and matching shoes. Use your time wisely and buy appropriate clothing for her. Get on an amazing fashion adventure with your favorite princess, Rapunzel! She wants to go shopping, but first she needs to get some money. Work and collect the dollar bills, then get in a cab and go to the mall. 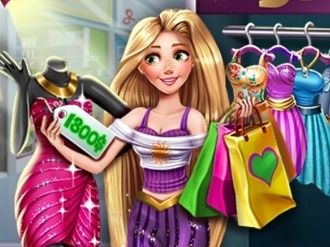 Help Rapunzel decide what outfits to buy and if you don't have enough cash, go back and make some more. Once you're done trying on the glamorous dresses and shoes, go home and enjoy your new wardrobe!